Flexible Funding Opportunity through Enviva Forest Conservation Fund to Aid Conservation Community in 2018 – U.S. Endowment for Forestry & Communities, Inc. The Enviva Forest Conservation Fund (the “Fund”) today announced that it is making $100,000 available for the 2018 fiscal year to support exceptional projects that emerge outside of the normal annual cycle for the Fund’s grantmaking. Applications for this one-time funding opportunity will be considered through January 2019. Individual awards up to $50,000 will be considered for projects meeting the fund criteria. Those criteria may be viewed by visiting envivaforestfund.org. Ecological quality of a tract and associated conservation values particularly for cypress-tupelo, Atlantic white cedar, pocosins, and/or Carolina Bays will be given strong consideration. 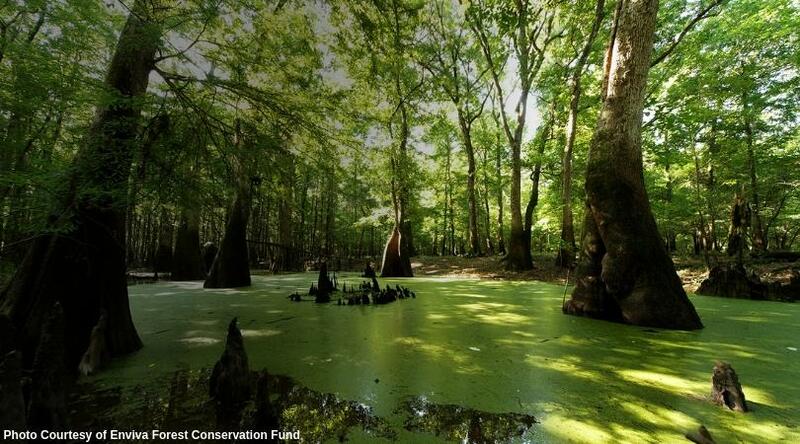 The Enviva Forest Conservation Fund is a $5 million, 10-year program established by Enviva Holdings, LP in December 2015 to permanently protect environmentally sensitive bottomland and wetland forests. Administered by the U.S. Endowment for Forestry and Communities (the “Endowment”), the Fund awards grants annually to nonprofit organizations and government agencies for conservation projects in North Carolina and Virginia. lend themselves to the current funding cycle. Having the flexibility to support those opportunities could help avoid the threat that a particular parcel will be converted to non-forest use or miss the opportunity to protect an area that links to other conservation plans,” said Alicia Cramer, Senior Vice President at the Endowment. The Fund’s goal is to be a catalyst for investments in forest and habitat conservation in the North Carolina coastal plain and southeastern Virginia region. Three years into the planned 10-year partnership, eight projects have been funded with a total commitment of over $1.5 million. When these projects are completed, the Fund will have protected an estimated 14,000 acres of sensitive wetland forest and other habitats. To learn more about the Enviva Conservation Fund, please visit envivaforestfund.org. Administered by the U.S. Endowment for Forestry and Communities, the Fund awards grants annually to nonprofit organizations and government agencies for conservation projects in North Carolina and Virginia. additional high-priority conservation areas. Now most counties in the North Carolina coastal plain, as well as counties in southeastern Virginia, are eligible for the Fund. forest-reliant communities. To learn more about the Endowment, please visit our website at www.usendowment.org.